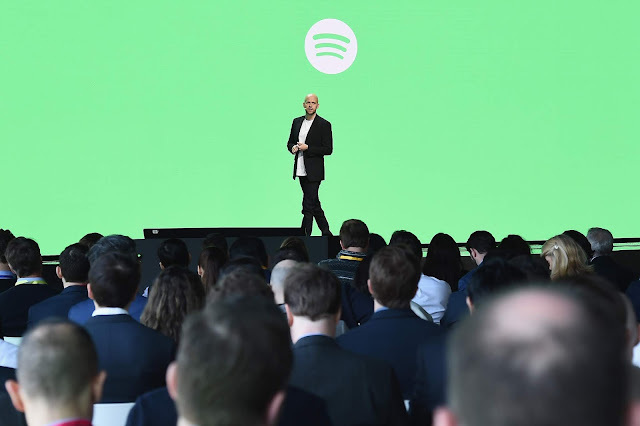 In a bid to add more users to its music streaming service, Spotify has now struck a partnership with Samsung as announced at its ongoing Unpacked event which will see Samsung devices ranging from phones to TVs to smart speakers which will provide users of its gadgets seamless experiences across many devices, A feature which may lead to an increase in its user base as Spotify which went public April this year aims to take more business. Spotify now counts as part of the setup for Samsung devices with Spotify and Samsung accounts being able to be linked for smart home integration with Samsung’s SmartThings app in addition to now being the default streaming option for its Bixby virtual assistant. As stated by Spotify CEO Daniel Ek, "This partnership with Samsung reduces the friction for users to get Spotify up and running on multiple Samsung devices once the accounts have been linked. It allows us to create a seamless music listening experience together for the user that would be hard for either of us to build alone. It’s a great fit." He also added "It's a new level of integration that will allow Spotify to be easily accessible and discoverable on Samsung Devices. As you move from room to room, your devices will be aware of your location and prompt you to effortlessly transition your listening between them." This partnership is termed as the start of things to come which means Samsung users should expect more integration over easy access to Spotify's 35 million songs and also its innovative Discovery and Personalization features. Samsung's Unpacked event which saw the announcement of this partnership also featured the unveiling of the Galaxy Note 9 which starts at $999 in addition to the exclusive launch of Fortnite on Android on the smartphone which will be released on the 24th of August with pre-orders starting on the 10th.